I have just finished Sleeping with Paris which was kindly sent to me by the author of this book Juliette Sobanet ( Thank you Juliette!) I have to say I have read many great reviews on this book and it seems to be the talk of twitter recently so I couldn’t wait to get started with this one to see if my opinion was the same as everyone elses. Determined to stop other women from finding themselves in her shoes, Charlotte creates an anonymous blog on how to date like a man in the City of Love—that is, how to jump from bed to bed without ever falling in love. But, with a slew of Parisian men beating down her door, a hot new neighbor who feeds her chocolate in bed, and an appearance by her sleazy ex-fiancé, she isn’t so sure she can keep her promise to remain commitment-free. 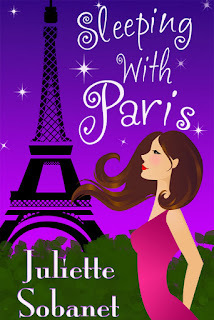 And, when Charlotte agrees to write an article for a popular women’s magazine about her Parisian dating adventures—or disasters, rather—will she risk losing the one man who’s swept her off her feet and her dream job in one fell swoop? I really enjoyed this book it was kind of a naughty pleasure as I found everything I loved about this book I really shouldn’t be enjoying! Our main character is Charlotte and this kind of character I usually would turn my nose up at with the way she jumps in and out of bed with various men the minute she arrives in Paris she seems to become a true man eater, but the character is saved in my opinion by the opening 3 chapters of the book as this is where we first meet Charlotte and she is likeable from the first time we meet her and you can’t help but feel for her character when she has given up everything to up and move to Paris with the love of her life only to find out that he is a big cheat. The book really grabs you from the first chapter and continues at a great pace with something exciting happening on each page. It is a fun read with some charming and gorgeous Parisians for great eye candy. It feels like a light hearted read but there are some deep emotional situations which occur in this book which really bring the book into its own. 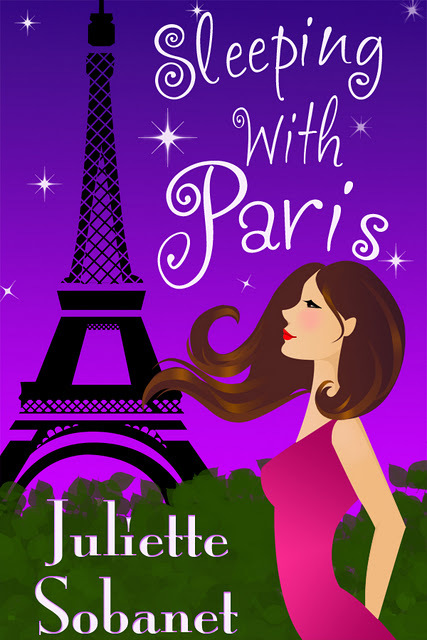 If you are looking for a fun romantic read with a hint of chocolate and a big splash of a Half-Naked French Hottie then this is definitely the book for you! I've never heard of this author before but from your review the book sounds like a nice lazy Sunday afternoon read so will add it to my wishlist for when I have some spare pennies. Thank you for the fabulous review Rea! I'm so excited that you enjoyed the novel, and the naughty parts too:) I really appreciate you taking the time to read and review! Happy New Year!